Not gonna lie. I’m a huge Coen Brothers fan. Their worst films are better than 98% of most peoples’ best films. But, they aren’t for everyone. 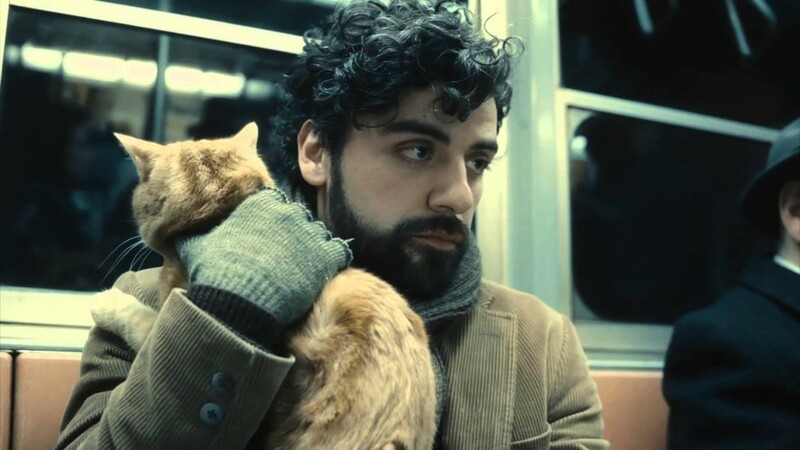 The storytelling doesn’t fall into that traditional “Save The Cat” Hollywood structure — despite Llewyn Davis ACTUALLY saving a cat, in a way. And Joel and Ethan Coen don’t really comment on their work. Not so many press junkets. Hardly any interviews. No audio commentary on Special Edition Platinum Gold Ultraviolet Blu-Ray sets. The work speaks for itself and the audience can only surmise what the directors were going for. Which is what I’m going to do. 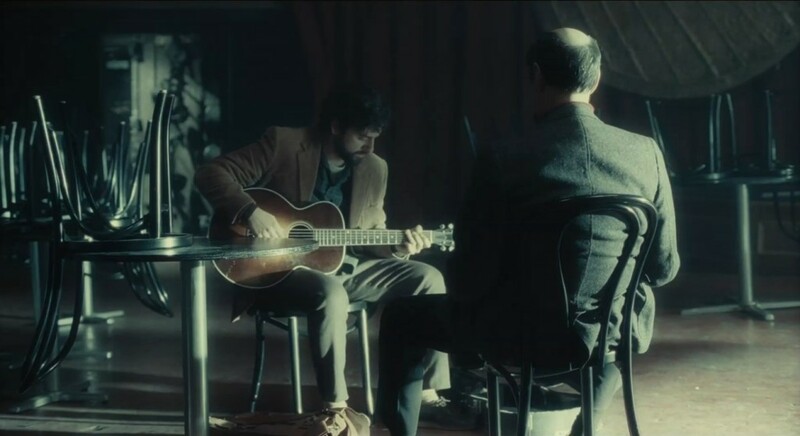 Inside Llewyn Davis is a small story about a small, folk-singing man in the early 60’s who has a chip on his shoulder the size of Gibraltar. He has no real home. He sleeps on the couches of people who he’s been away long enough for them to forget what kind of person he is. He doesn’t feel anything except for a dull hum of remorse and self-loathing… ever since his folk-singing partner leapt to his death from the George Washington bridge. The film begins with Davis performing onstage (the music supervisor is T-Bone Burnett of O Brother Where Art Thou?). Afterwards he gets beat up in an alleyway for “shootin’ his big mouth” But the journey begins before this as he wakes up on a couch with an Orange Tabby sitting on his chest looking at him. And with that same cat escaping the apartment as Llewyn lets himself out — so begins the odyssey. The Coen Brothers seems to be going back to the well of mythology, and more specifically Homeric origins. And why wouldn’t you? Why wouldn’t you glean brilliance from arguably the best storyteller cultured society has ever birthed? But, the parallels to Homer and Greek mythos are much more hidden in Llewyn’s mundane existence than, say, escaping a cyclops, evading a maelstrom, or succumbing to sirens. 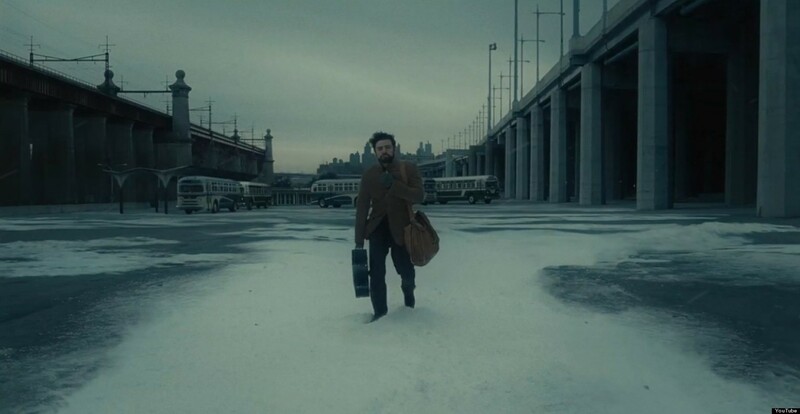 The cat appears to be a symbol of Llewyn’s psyche as it travels around with him — or flits away at key points. Llewyn doesn’t want the responsibility of the cat, but feels compelled to care for it. In fact, in light of his other problems — like an unwanted pregnancy with a good friend’s wife — the responsibility of the cat is the only thing that makes him feel anything. He loses the cat — then refinds it, to his excitement and joy. Then brings it back “home” to the owner’s — the couple whose couch he was sleeping on, only to find that it’s not the right cat — in fact, the cat is female instead of male. Lillian shakes the cat, its jiggling body emphasizing the point. “Llewyn, WHERE’S ITS SCROTUM!! ?” — possible translation: Llewyn, Where are your balls? Llewyn continues to stumble his way through life, and ends up heading to Chicago…hesitantly…with a couple other musicians who need to share the gas money. Llewyn decides to go because there is a manager out there, Bud Grossman, who Llewyn feels might be his key to success. The treasure, if you will. He ends up getting to Chicago despite one musician OD-ing on heroin, and the other getting arrested, and he gets to perform for Grossman at his club The Gate of Horn (fraught with mythological symbolism). Grossman listens dispassionately (amazing bit of nonverbal acting from F. Murray Abraham), then after the song says “I don’t see a lot money here.” Llewyn accepts his fate without emotion and says “I don’t have what, say, Troy Nelson, has” — referencing a straight-laced folksinger he met earlier. For the first time, Bud Grossman seems pleasantly interested: “You know Troy? Good kid (nods thoughtfully) Good kid…He connects with people” and with that, the theme of the movie is revealed, and the treasure that Llewyn seeks sits before him. And yet, he doesn’t take it. On the drive back to New York, Llewyn dozes off momentarily and hits something crossing the road. He gets out and notices blood on the bumper. Back down the road in the darkness and snow, a small orange creature limps off into the woods. His previous alter-ego? That he may have killed? I’m just going through and hitting on examples of seemingly trivial events that are pregnant with deeper meaning. There is a lot more to the film. I can’t say for sure that the Coen Brothers are specifically making choices to parallel classic mythology. Perhaps its simply ingrained into their DNA. But the thing is, whenever something strikes you as odd, it should click inside your brain there is something deeper going on. 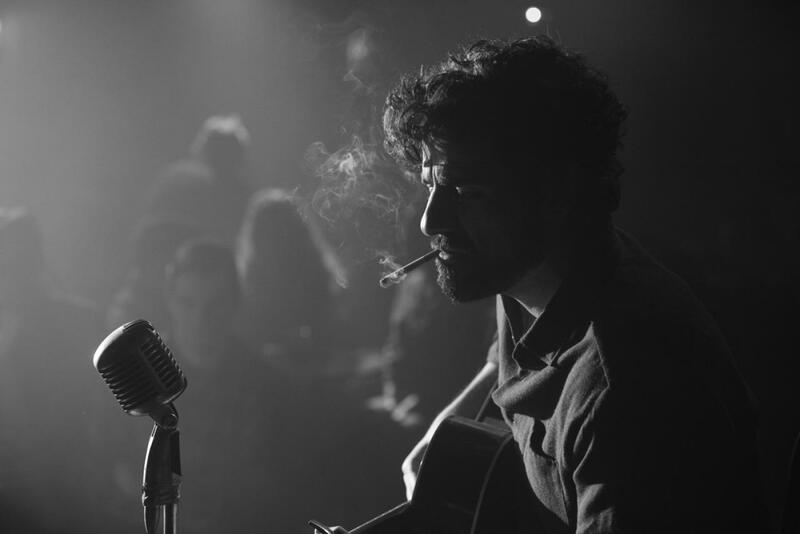 I enjoyed watching Inside Llewyn Davis. That’s not to say that its an enjoyable movie to watch. Being forced to empathize with an irredeemable cad doesn’t make for a joyous experience. But what I DID enjoy, was going back through with a filmmaker/screenwriter mindset, and analyzing the choices the brothers were making. I even read the screenplay to try and gain some deeper understanding. But like I said at the beginning: This movie may not be for everyone. For the majority of movie-goers, it might be boring and meaningless. Just know that sometimes, something more is being shown to you. From an Oscar Standpoint, it’s got Best Cinematography and Best Sound Mixing going for it. Despite easier paths on either side, Llewyn chooses the hardest. Bud Grossman listens to Llewyn perform. The Hero’s Task. Llewyn (Oscar Issac) with his symbolic alter-ego. I don’t think Delbonnel will win. I have a feeling that Emmanuel Lubezki will win — followed by industry consternation that Gravity is basically a CG movie. However, Lubezki was on-board that show from inception through color and stereo grading and a collaborative leader for the CG team at Framestore — so he probably earned it. The other nominee I would place above Delbonnel is Deakins and his amazing work on Prisoners, which I’m proud to say I called in my review for said film. Next nomination is Best Sound Mixing for Skip Lievsay, Greg Orloff and Peter F. Kurland. Now, just for the uninitiated, lets make a distinction between Sound MIXING and Sound EDITING — because they are different disciplines. Sound Editing is the creation of an “audio landscape” from scratch — like the Millenium Falcon roar, or the always annoying Tranformers wha-wha-wha sound as well as all the footsteps, water drips, paper crinkles, etc. Sound Mixing is the balance and blending of dialog, music, and sound effects into one cohesive experience. So, our Best Sound Mixing for Inside Llewyn Davis, I suspect, is centered around T Bone Burnett’s music choices, blended not so much into a collage of music (ala The Graduate or The Royal Tenenbaums), but into a number of performances throughout, that contribute to that story. Its rare that films will be nominated in one category. It is equally rare that the same film won’t win for both. 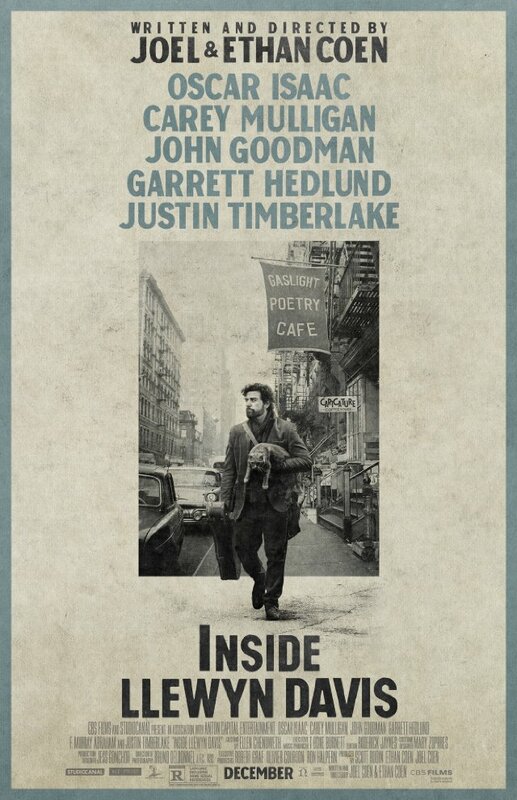 So, I think that a win for Inside Llewyn Davis is a long shot. Again, Gravity will probably take both. In a nutshell, if you are Coen Brothers fan, you’ll probably love it. And if you aren’t a Coen Brothers fan, you probably won’t — but should.